WMODA | Wiener Museum > Highlights > Black History Month > Am I not a man and a brother? 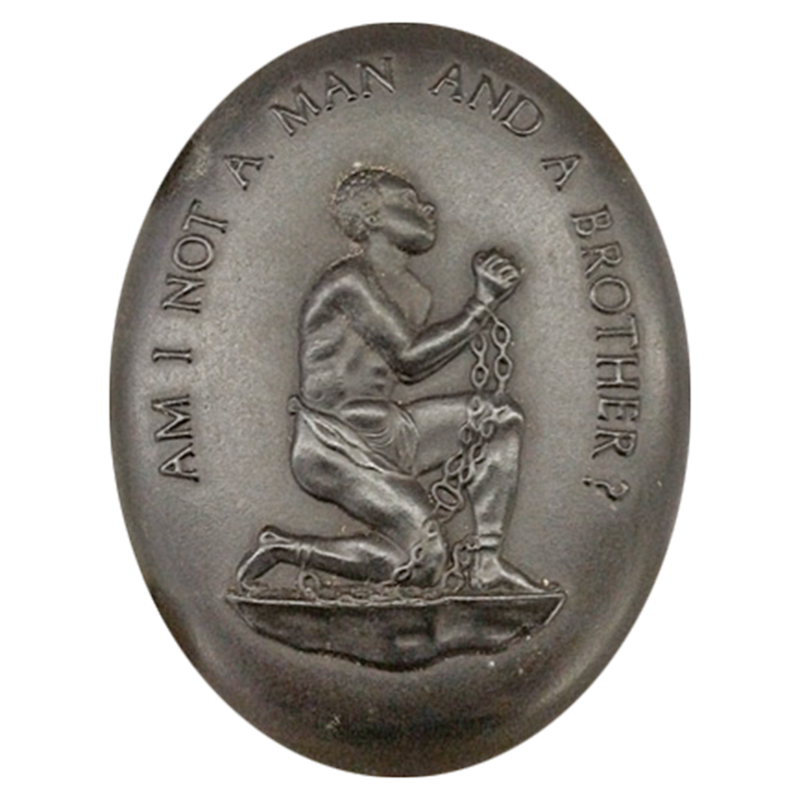 One of the most potent emblems of the Abolitionist movement in the 18th century is a Wedgwood medallion depicting a kneeling slave in chains asking, “Am I not a man and a brother?” The medallion was produced by Josiah Wedgwood at his own expense for the Society for the Abolition of the Slave Trade which he supported from 1787 until his death in 1795. 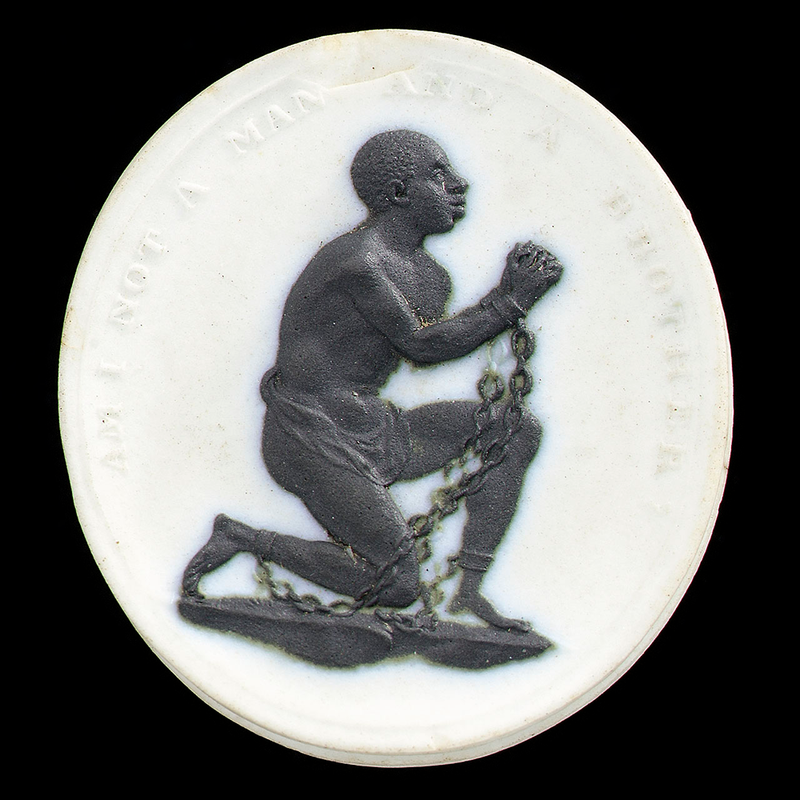 The potter campaigned vigorously to make known the evils of the slave trade and the cruel suffering of his fellow men and his medallion was hugely influential. Wedgwood sent a large number of his cameos to Benjamin Franklin, President of the Pennsylvania Abolitionist Society in Philadelphia, who distributed them among his friends. 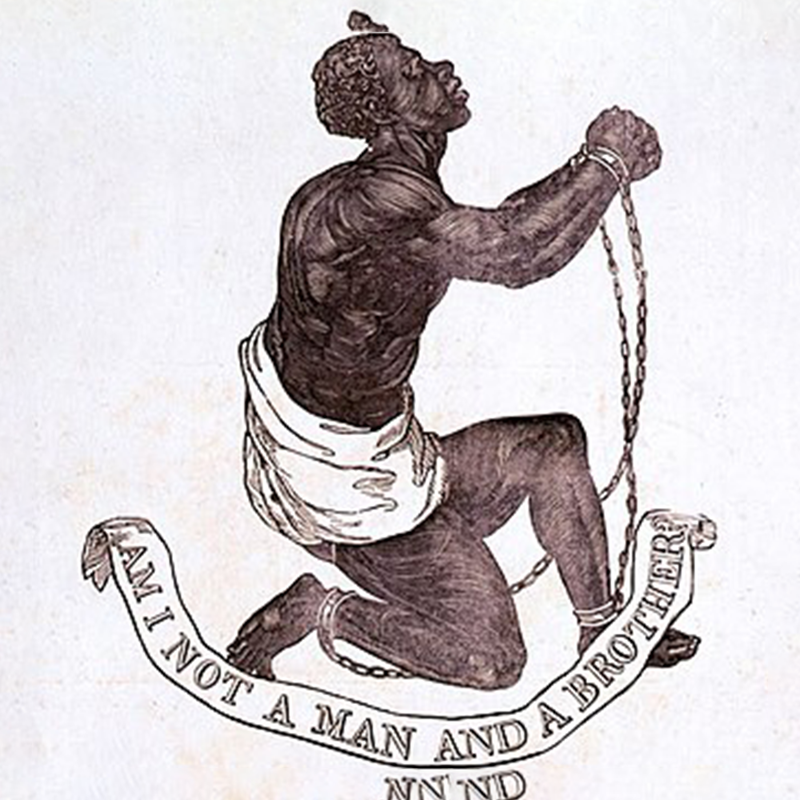 On receipt of the gift Franklin responded, “I am persuaded it may have an effect equal to that of the best written pamphlet in procuring honor to those oppressed people.” In addition to advocating the anti-slavery cause through his ceramic art, Wedgwood bought shares in the Sierra Leone colony for freed slaves founded by Thomas Clarkson. He also met and corresponded with William Wilberforce, the social reformer and parliamentary leader for the cause of the abolition of slavery. Like many of his friends and contemporaries, Wedgwood abstained from sugar and rum imported from the West Indies. The powerful image on the Wedgwood medallion has been reproduced many times over the years. Large scale copies were painted on walls and appeared on household items, such as tobacco jars and pipes. 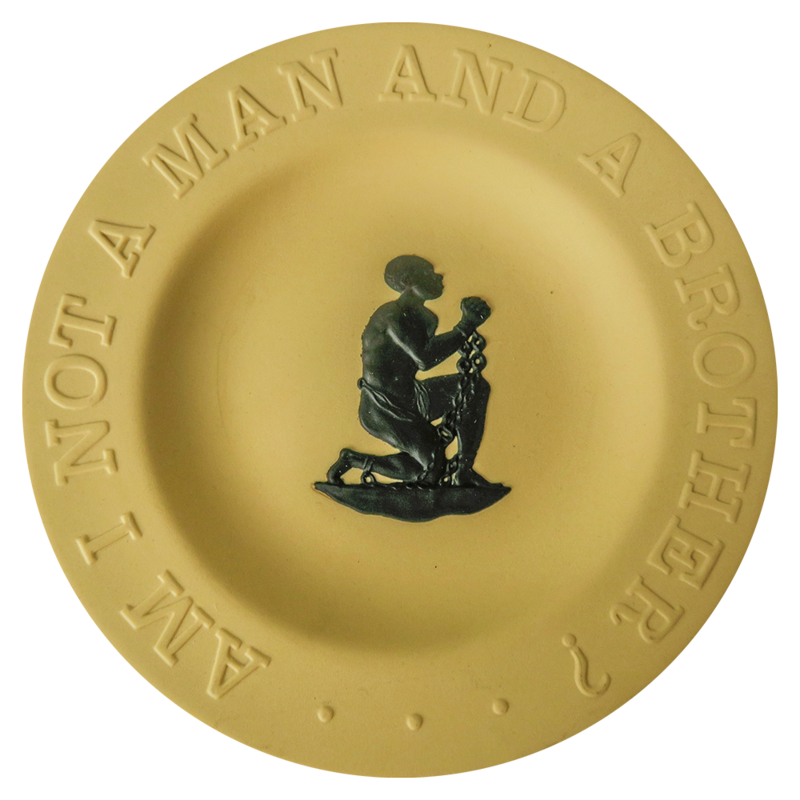 The Wedgwood Collectors Society offered a black limited-edition plaque to its members in 1969. The icon of the enchained slave is also featured on pin trays like the cane yellow Jasper version at WMODA. Your ticket for the: Am I not a man and a brother?